Houston, Texas, December 20, 2016	(Newswire.com) - ​With four boosters in one unit and ability to be bolted down on any hard surface, CellPhoneSignalBooster.us's WilsonPro 4000 is already causing quite a stir in the business world - Particularly with medium to large enterprises that require coverage for as much as 100,000 square feet of real estate. 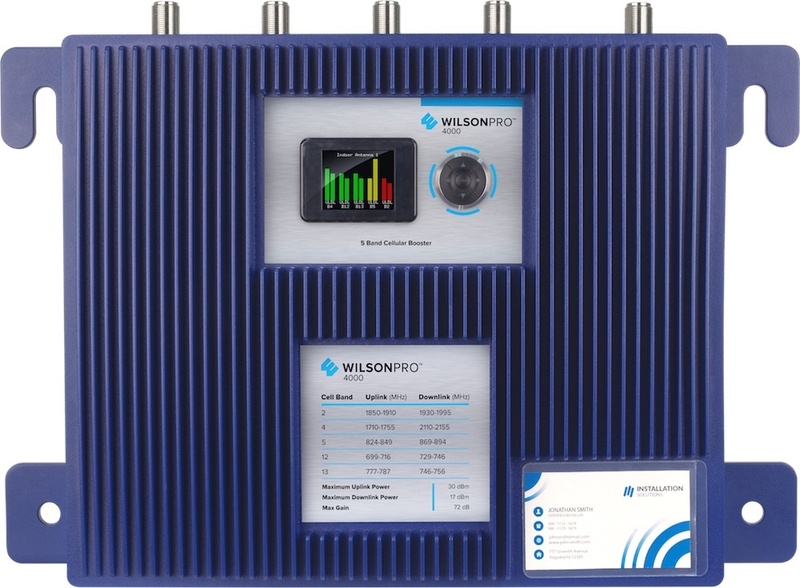 The newly launched Wilson booster's four built-in amplifiers can feed sixteen indoor antennas and setup has been made even easier with inclusion of a color display which indicates system information. 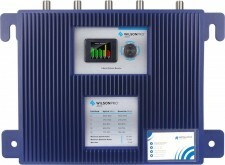 Its expansive and robust features make it the best mobile signal amplifying system available today that is made in USA. Alongside its superior cellular coverage (compatible with most US and Canadian 2G, 3G, 4G LTE networks), the WilsonPro 4000 offers many intuitive features as well as thoughtful design touches. AC power supply cable can be locked into the compact unit directly to prevent accidental knockouts, while the wall-mount means the PRO-4000 can be put on a wall - Out of the way of office traffic and exactly where needed to distribute cables and antennas symmetrically in any building. In order to prevent downtime and maintenance issues due to overpowering signals, like the PRO4000R, the PRO4000 also uses XDR (Extended Dynamic Range) technology to maintain fluctuating signals within the correct parameters. "While the WilsonPro 4000R has proved popular in the commercial market, many of our customers kept asking us if we had a wall-mounted version, as the PRO 4000R was a rack-mounted only cell signal booster," noted Rich Serrano, CSO of Houston-based cell phone signal booster store, Accessory Fulfillment Center, LLC. "Now we're pleased to announce that the PRO 4000 has come along to address exactly this issue without compromising on connection speeds. With Wilson's 4000 commercial signal amplifier, our customers are getting enterprise-grade cellular coverage comparable to DAS - But at a fraction of the cost. Combined with expansion kits, designing a cellular reception boosting system for large office buildings, stores, and other wholesale and retail structures has never been this simple or inexpensive," he concluded. With a sophisticated full-color LCD display and navigation buttons included on the unit, operators can quickly make necessary adjustments and observe the device's performance at a glance. It can intelligently and independently control individual antenna's signal strength automatically, making connectivity in the office a simple affair. For more information and sales or media inquiries, please call 800-501-3153, or email sales@cellphonesignalbooster.us.